To make the dressing, place the tahini, yoghurt, lemon juice, water and salt in a bowl and whisk to combine. 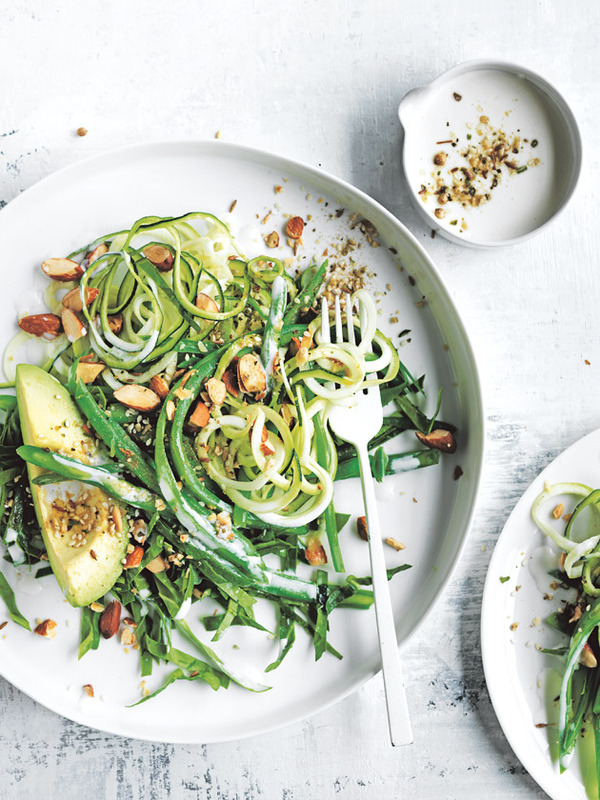 Place the zucchini, beans, spinach, almond and dressing in a large bowl and toss to combine. Top with the avocado and sprinkle with dukkah to serve. Serves 4.